While it’s virtually impossible to trade Bitcoin completely offline the way it’s done with typical paper currencies, the closest possible way of facilitating an offline trade would be to directly barter the digital currency with a person in exchange for cash. There are many other alternatives which exist like Bitcoin ATMs and I have covered those in a section below. What Services Let You Buy Bitcoin? The de facto service for this purpose is almost unequivocally considered to be LocalBitcoins by the entire Bitcoin community. The service can be thought of as a traditional peer to peer marketplace, with the obvious exception of being exclusive to Bitcoin. Therefore, the important distinction here is that unlike exchanges, LocalBitcoins does not offer to sell you its own reserve of Bitcoin. Instead, it allows you to purchase or indeed, sell the cryptocurrency directly from and to individuals also interested in trading within your region. The prices offered by Bitcoin sellers on services like LocalBitcoins will vary significantly and tends to depend on a range of factors, including the availability of other competitively priced sellers in the same region and the general price of Bitcoin at the time of the trade. In countries where the supply of Bitcoin is limited and usually only in the control of exchanges, it isn’t uncommon for traders to demand up to 20% extra on the current international price of the cryptocurrency. Furthermore, some sellers that also offer trades in the form of bank transfer tend to charge higher for in-person cash transactions, presumably due to the reduced efficiency as compared to exchanging funds over the internet. However, despite these possible conditions, the price of a Bitcoin on LocalBitcoins will rarely deviate by more than a few percent except in extreme conditions. However, the extra premium will reduce as more people including potential readers of this article start to offer cash-based transactions. For now, that is the unfortunate price one needs to come to terms with in order to obtain Bitcoin offline. Several alternatives to LocalBitcoins are available, including Mycelium Local Trader and Bitsquare but they have the same limitations and suffer the problem of reduced recognition and as a consequence, lower trade volume and competition. Are There Any Precautionary Measures to be Taken Before Trading? Even though LocalBitcoins provides users with a Bitcoin wallet just like how a proper exchange does, it isn’t recommended to make either of those your primary cryptocurrency wallet. Instead, it’s wise to store the vast majority of your Bitcoin holdings in one of the many software or hardware wallets that give you access to your wallet’s private key. There are a number of ways to set up your wallet for different platforms. Using a proper Bitcoin wallet will not only keep your cryptocurrency completely offline and under your control but ensures that the entirety of your wealth remains immune to the hacks targeting cryptocurrency exchanges that have recently become increasingly common. For these exact reasons, there exists a popular saying within the Bitcoin community that goes along the lines of “not your keys, not your Bitcoin” and is often ironically used in response to people losing their cryptocurrency to hacks aimed at third-party exchanges. And, How Do Bitcoin ATMs Work? 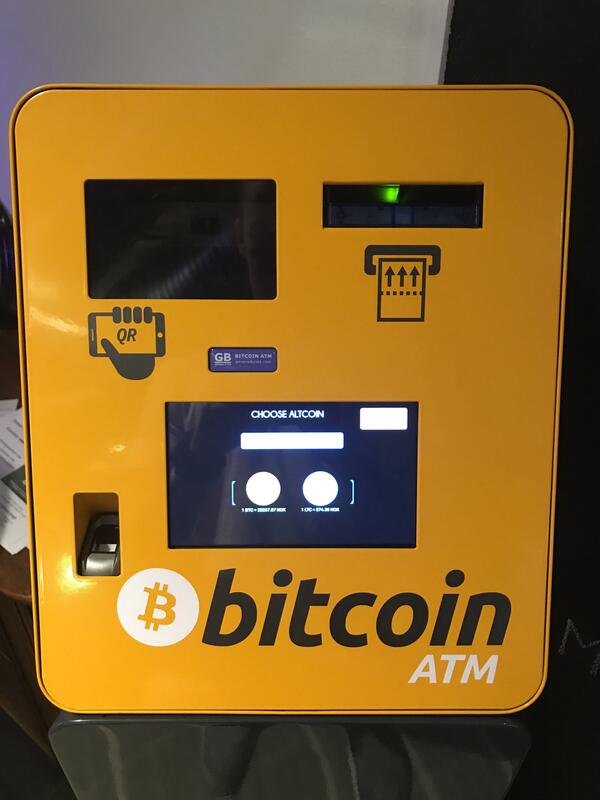 Apart from using LocalBitcoins or another similar service, the option of using a Bitcoin ATM is also a possibility. That is, as long as one can be found in your specific region since they are pretty much exclusively found in developed countries. While on one hand conventional ATMs are placed in convenient areas by banks and other financial institutions such as credit unions, there exists no real motivation for them to promote a cryptocurrency. That is why, Bitcoin ATMs are typically maintained by retail establishments such as supermarkets, coffee shops, malls and restaurants. Most Bitcoin ATMs allow anyone to walk up to them and purchase a limited amount of the cryptocurrency before it asks the user to associate KYC related documents with an online registration portal linked to the ATM provider. There are ways to circumvent such restrictions but that makes the entire process less straightforward than trading with a person instead. The convenience of using Bitcoin ATMs also often comes at a significant cost though. Given that two different entities need to profit from the ATM, the owner of the machine and the service provider, one can expect a markup of at least ten percent over the internationally traded price. Also, given that you’re dealing with a machine, there’s no real way to negotiate the price offered the way you can when dealing with an actual person. Having said that, using a Bitcoin ATM is a lot safer than dealing with an anonymous stranger from the internet. In the event that something goes wrong with the machine, you can simply contact the service provider for help. It’s important to note that since the usage of most of the services mentioned in this article comes with the caveat of meeting strangers face to face, I advise you to remain vigilant at all times. Similar to other peer-to-peer services such as Craigslist, one must take precautions against crimes such as theft and extortion. For instance, it is recommended to complete a face to face trade in a public environment with enough foot traffic to mitigate the risk of being involved in a scam. Even so, double checking that the Bitcoin has indeed been received is always a good idea, in spite of it not really being viable for them to scam you once the transaction has been initiated on their end with an acceptable miner fee. Assuming that everything is in order now, there really is nothing more to it. It’s all a matter of finding a Bitcoin seller on a peer to peer marketplace or a local ATM and establishing the trade. Now, doesn’t that remind you of the Gameboy era? Do you have experience trading Bitcoin in real-life? If so, leave a comment and please tell our readers how to buy Bitcoin with cash. Previous Article What Will Be the Impact of Putin’s Proposed Multinational Cryptocurrency?